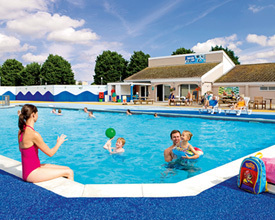 Kiln Park Holiday Centre (Tenby) - With direct access to Tenby's stunning south beach and the adjacent breathtaking Pembrokeshire National Park coastal path, a better holiday location than Kiln Park would be hard to imagine. Fill each day in just your own way - Maybe an early morning swim in the heated indoor and outdoor pools? Or indulge in a bit of a lie-in before heading off to neighbouring Lydstep Beach for an exciting day of watersports. Creampots T C and C Park (Haverfordwest) - Set in 7� acres of glorious Pembrokeshire countryside, Creampots Touring Caravan and Camping Park is a small, peaceful, family run park, perfect for couples and young families. The site is centrally located in the heart of the Pembrokeshire National Park, yet only 1.5 miles from the safe sandy beaches of Broad Haven, the pretty holiday village of Little Haven and within easy reach of Newgale, Solva, Dale and St. Brides Bay. Fishguard Bay Caravan and Camping Park (Fishguard) - Set in unspoiled surroundings, the Caravan and Camping Park sits high upon a peninsula overlooking Fishguard Bay - one of the Pembrokeshire Coast National Park's most beautiful landmarks. 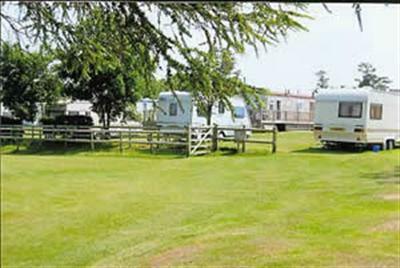 Hasguard Cross Caravan Park (Haverfordwest) - Set in four and a quarter acres of level grassland, tastefully screened by trees and shrubs the park has views overlooking Milford Haven to the South and over St. Brides Bay to the North.